We are trying to remove as many environmental toxins in our home as possible. I found these nontoxic cleaners and their household uses to be a helpful start (source: Growing Up Green by Deirdre Imus). Lemon juice--A natural odor-eater that can be used to clean glass and remove stains from aluminum, copper, clothing, and porcelain. Acts as a mild lightener or bleach when exposed to sunlight. 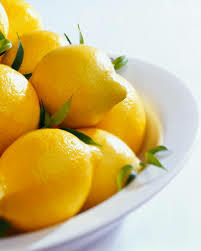 Adding juice from half a lemon to the wash cylce will help get rid of clothing odors. 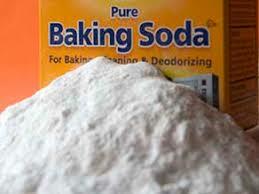 Baking Soda--Neutralizes acid, scrubs shiny materials without scratching, unclogs and cleans drains, extinguishes grease fires, and removes certain stains. Also, can be used to deodorize refrigerators, carpets, and upholstery. Can clean and polish aluminum, chrome, jewelry, plastic, procelain, silver stainless steel, copper, and tin. 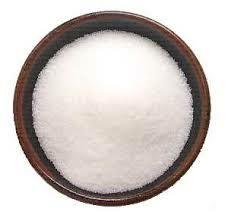 Table salt--Great at removing rust, used with lemon juice to clean copper, mixed with vinegar to polish brass. Makes for a great scouring powder. White distilled vinegar--Great at removing stains, dissolves mineral deposits and grease, removes traces of soap, removes mildew or wax buildup, polishes some metals, and deodorizes your home. Use it to clean coffeepots, windows, brick, stone, carpets, toilet bowls. 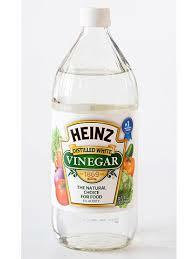 A tablespoon of vinegar added to your rinse cycle will act as a fabric softener. Also, can be heated in a bowl in your microwave to loosen difficult stains. For other uses of these and other natural products, go here. i pretty much always use water for washing off the kitchen counter, and an occasional antibacterial spray. Do you know of another natural antibacterial that I could use on occasion? What do you use for your kitchen counters?